Yaaaaay! Christmas is finally here! 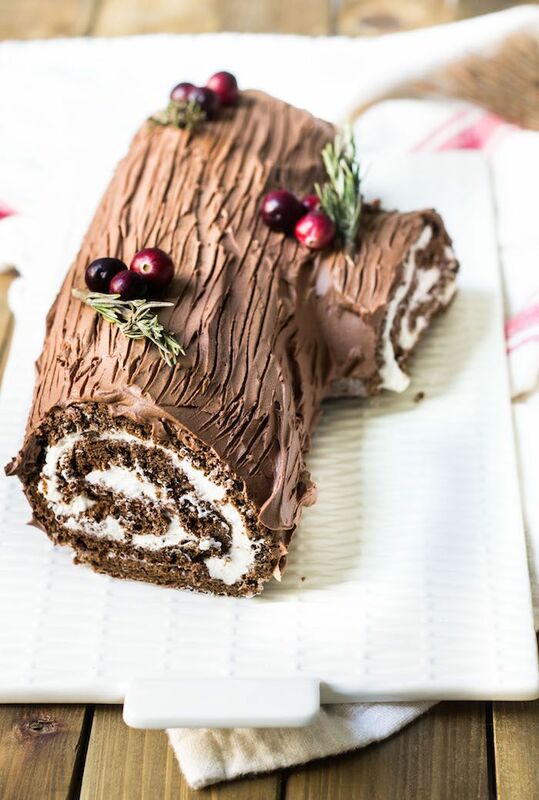 Yes, we are approaching the season of stuffing our faces with turkey and log cakes, and having to finish up the crazy amounts of leftovers in our fridge the next few days… not that I’m complaining! As much as it is my favourite holiday season, I often hear people lamenting about the many things to fret about as the countdown to Christmas begins. From the number of gifts to buy, whether the dust-covered Christmas decorations in the storeroom should still be reused, or even what the most efficient food prep methods are. Christmas should not be a time of added stress for you, so make the best out of what you have, and work with what you can. Start planning early, and when your Christmas dinner comes, it’ll be a breeze. So, instead of pulling your hair out over the Christmas dinner you are going to host like you do every other year, make this year different with the following tips I am going to share with you! Who says it always has to be the woman of the family preparing everything? Christmas dinners are a fantastic way to keep the family bonded, with everyone working together to ensure that everything gets done. Make use of this opportunity to teach the kids how to cook the pasta they eat every other day, or even how to bake your favourite chocolate cake. With the whole family involved, things are sure to flow a lot more efficiently, provided nobody starts their Christmas feast before the party even begins. While one prepares the turkey, the rest can get started with making the desserts or ensuring the dog stays away from the ham on the table. Take it easy and create new memories together! With the whole family working together, nothing is impossible. You’ll be sure to look back upon this a few years later with a smile on your face. Certain food items can be prepared the day before the Christmas party. You can roast your potatoes beforehand, and even prep your vegetables the night before. Peel potatoes, carrots, parsnips or any other vegetable you need and leave them in cold water overnight. This is a major time-saver since you’ll probably be too overwhelmed perfecting everything on the actual day of the Christmas dinner. To add on, desserts can definitely be pre-made too, if there’s room for them in the fridge! This is the part where you’ll ~probably~ stress out the most, but no fear! Just remember that turkey breasts tend to cook quicker than the rest of the bird. To prevent overcooking (or a mental breakdown), cool them with some ice cubes before popping them into the oven. You can also stop the bird from burning by covering it with aluminium foil. It would also be a great idea to first make sure the turkey’s skin is reaaaaaally dry, then rub butter and oil all over it, before putting it in the oven. For even moister turkey meat, you can place bits of butter under its skin. These steps will ensue in a delicious, golden brown turkey. YUM! Alternatively, you can also order a pre-made turkey from places such as Fairprice, Swiss Butchery, Huber’s or Cold storage to save yourself the effort. Christmas is a time of love, and sharing is love! Get your guests to prepare a dish of their liking and bring it to your party. With each guest/family bringing some food, the dining table is sure to be filled all the way with a myriad of dishes! Everyone will then have a variety of choices, and this is also a good way to ensure that everyone has something they enjoy eating. However, be sure to also prepare drinks and some finger food on your end, just in case there isn’t enough food. For one, this will definitely save you the hassle of preparing a lot of food, and this will certainly go easier on your wallet. Want to bake your own Christmas desserts but worried about messing up that new recipe of that cheesecake you found online? Well, it’s not too late to sign up for our festive baking classes here at Palate Sensations! With the help of our friendly Chefs who will guide you towards perfecting various recipes, you are sure to return home confident and ready to bake your own Christmas desserts! Heat oven to 180’C. Grease and line a 23 x 32cm Swiss roll tin with baking parchment. Beat the eggs and sugar together with an electric whisk for about 8 mins until thick and creamy. Get more tips at our classes! Christmas doesn’t have to always equate stress. May your Christmas dinner be the smoothest one! Best wishes from all of us here at Palate Sensations.